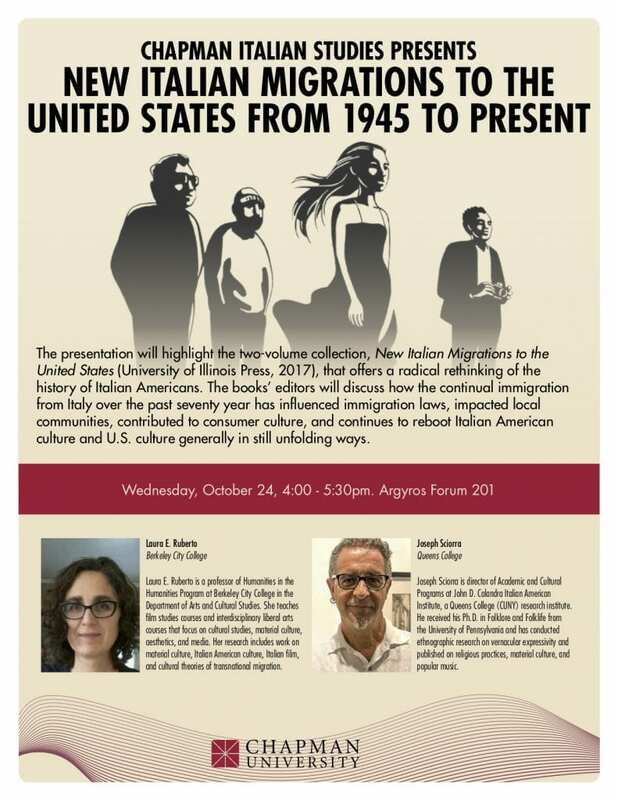 The presentation will highlight the two-volume collection, New Italian Migrations to the United States (University of Illinois Press, 2017), that offers a radical rethinking of the history of Italian Americans. The books’ editors will discuss how the continual immigration from Italy over the past seventy year has influenced immigration laws, impacted local communities, contributed to consumer culture, and continues to reboot Italian American culture and U.S. culture generally in still unfolding ways. Wednesday, October 24, 4:00pm in Argyros Forum 201.